Are you the best of the beach players, if so prove it. This is a coed King and Queen of the beach tournament. Each time you play you will have a different partner. 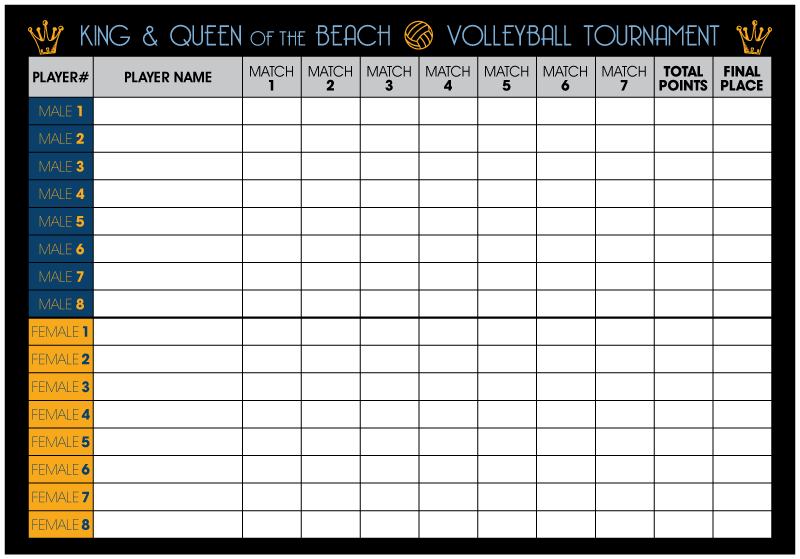 Wins and losses are recorded for the individual player the male with the most points will be crowned the “KING OF THE BEACH”, and the female with the most points will be crowned the “Queen of the Beach”. Matches are two sets to 21 points. 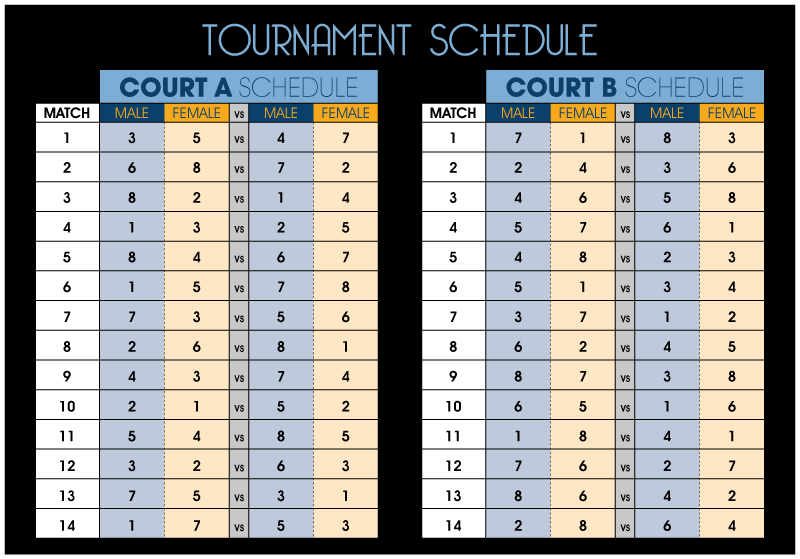 Each set win is considered 2 points and points for and against will be used to break ties at the end of the tournament. There is only room for 8 male teams and 8 female teams.